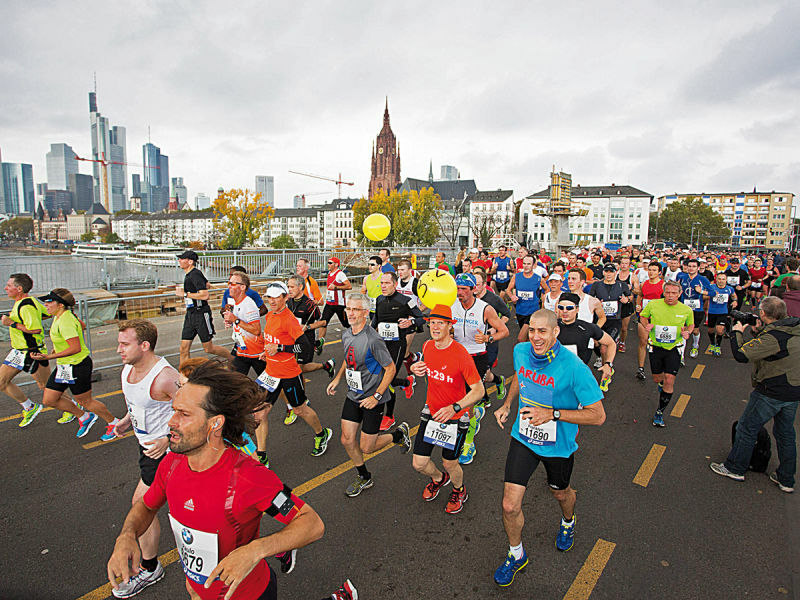 Having finished on the lower steps of the podium at last year’s Mainova Frankfurt Marathon, Ethiopia’s Meskerem Assefa and Kelkile Gezahegn topped the podium at this year’s edition of the Frankfurt Marathon on Sunday. 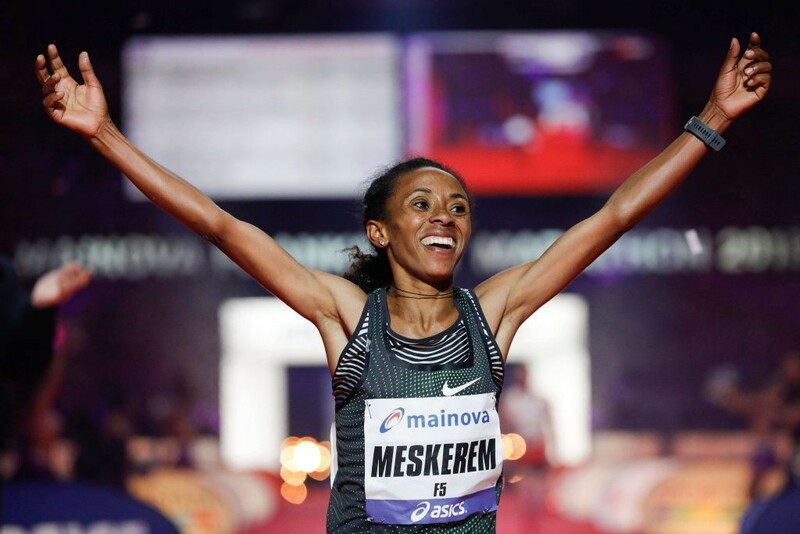 In a high-quality women’s race in which the first seven athletes finished inside 2:23, 33-year-old Assefa triumphed in 2:20:36 to take 25 seconds off the course record set by compatriot Meselech Melkamu in 2012. Ethiopian athletes swept the women’s podium as Haftamnesh Tesfay finished second in 2:20:47, also inside the previous course record, and Bedatu Hirpa placed third in 2:21:32. After a thrilling duel, Gezahegn won the men’s race by just four seconds from Kenya’s Martin Kosgey, clocking 2:06:37. Marathon debutant Alex Kibet was third in 2:07:09, while Mark Kiptoo took 48 seconds off the world M40 masters best with 2:07:50 for sixth place. Assefa wins battle of the Ethiopians, leading a group of 12 women reached the half-way point in 1:09:55, it was obvious that something special was possible. The group was on course for a sub-2:20 finish and although weather conditions were far from ideal, the leading women maintained the swift pace until late in the race. 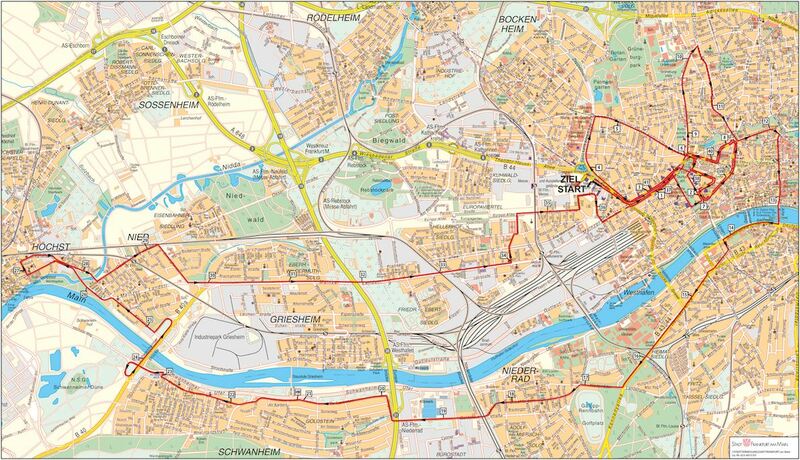 Their 30-kilometer split of 1:39:30 suggested a sub-2:20 time was still possible, but the group later faced a stiff headwind for severalkilometers and their pace suffered slightly. At 35kilometers there were still five women in the lead group: Ethiopians Assefa, Tesfay, Hirpa and Dera Dida as well as Kenya’s Betsy Saina, the Paris Marathon champion. Saina struggled in the closing stages and eventually finished eighth. Hirpa and Dida also dropped back, leaving Tesfay and Assefa to battle for victory. It was only in the finalkilometer when Assefa, who finished third in Frankfurt last year, moved ahead and build a decisive lead before going on to win by 11 seconds in 2:20:36.